We live in the world of Web 2.0. – a generation of the internet wherein users generate the content. Think: Facebook, Trip-Advisor, Bloggers. The comments and opinions of a highly individualized consumer culture reign supreme. We no longer shop for products alone; the web gives us multiple resources for accessing reviews and feedback from existing customers or industry experts on any given product. Simply put, a business’s branding is no longer entirely under its own control. So how does one harness the power of consumer opinion? The solution to this question has created a dramatic shift in today’s branding ideologies. More and more, we are seeing savvy businesses invite their customers on to the front pages of their advertising campaigns. Today’s customer is more than willing to provide their opinion on a product that they enjoy, so why not engage them? You can probably name a few of your existing customers who not only love your business, but also demonstrate a lifestyle that is fitting to your brand. Consider how you might engage such a customer to create a win-win opportunity. For example, your might create a blog post about a customer in which you feature their photo and their comments about your product or service. Another method for engagement might include adding a webpage to your site where customers can post their own images and feedback for your product, letting others see who your customers are, and how they incorporate your services into their lifestyle. Whatever method you choose, allowing your clients to help communicate your brand through their own words and style can be a powerful asset to your marketing. 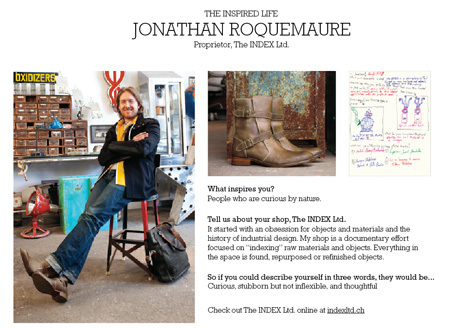 Cole Haan is profiling their customers in a section of their website called “The Inspired Life.” The selected customers have interesting careers, or businesses of their own, which are promoted in the profile interview. Beautifully photographed in their worn Cole Hann shoes within their own, lifestyle-rich environment, these customers make handsome, engaging spokespeople. 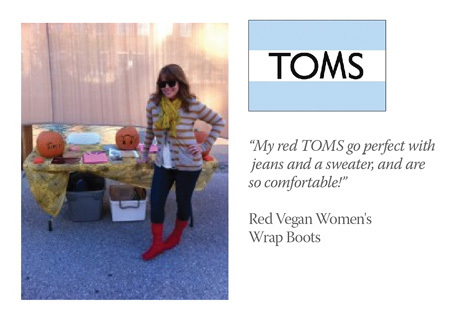 Another popular shoe retailer, TOMS, has a dedicated webpage called “How We Wear Them” in which customers are invited to upload their own images and comments. Furthermore, on each product profile page, customers can read reviews or interact by giving star ratings to individual products and adding comments. And once they register to do so, the company has captured their contact information.